2015 marks a new era for Naxos AudioBooks with the departure of publisher Nicolas Soames for pastures new. Naxos AudioBooks has established a deservedly enviable reputation for the quality of its recordings, particularly – though not exclusively – in the classics of world literature. Our intention is very much to continue in this direction, albeit with the occasional appearance of a more unexpected title. Initially I had some reservations about where we could take Naxos AudioBooks next – surely most of the ‘obvious’ literature had already been covered over the past twenty years that the company had been in existence. Finding books which were worth doing from both a qualitative and commercial perspective would surely be a real struggle. However, after a little bit of brainstorming amongst the Naxos AudioBooks team it was clear that this apprehension was without foundation and our recording plans began to take real shape, with some very exciting projects in the offing. I hope you will follow the final results, as they unfold, on this site over the coming months and years. 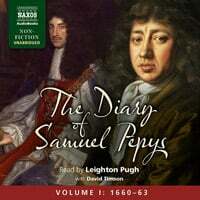 2015 starts with a literary bang in the shape of the first of three volumes of the only complete and unabridged recording of Pepys’ Diary, read by Leighton Pugh. The history of diary-writing is an interesting one and, although those of Pepys are by some distance the best known in world literature, the tradition arguably goes back as far as Marcus Aurelius. Where Pepys was one of the first to break ground was by the inclusion of extensive personal elements in what is also an invaluable account of the events in the decade which it covers. So, for example, we hear of what proves to be his short-lived resolution to abstain ‘from plays and wine’ and, with unabashed frankness, of some of his extra-marital activities. Alongside this are eye-witness accounts of the Great Plague and Fire of London and the Second Anglo-Dutch War… Pepys himself rose to become Secretary to the Admiralty and later a member of Parliament and President of the Royal Society. Memoirs by public figures (celebrities great and small) seem unremarkable in our modern world, but the suspicion is always that diaries are written with eventual publication (and commercial gain) in mind. 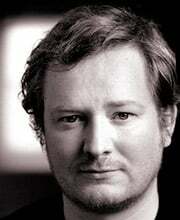 In recent decades political diaries of a very various nature include those by Alan Clark, Tony Benn and Ronald Reagan. Clearly the fact Pepys retained his diaries within his libraries indicates that he felt they may be of interest to somebody. However, there was no suggestion of financial motive of the kind there often is today. The other obvious factor that differentiates Pepys from other diarists is the range of interests that Pepys evidently had: these include literature, music (he played several instruments), theatre and science. These are reflected in the diary and this breadth of intellect, coupled to his innate curiosity, serves to provide us with a fascinating insight into Restoration England, vividly brought to life in this new audiobook.